Rosemarie Crawford and Susan Spaulding first met each other in 2004 when they were both fostering neonatal* and sick kittens for animal shelters and rescue organizations in the greater Washington D.C. area. The number of kittens they were asked to foster was overwhelming and, sadly, they were not able to foster every at-risk kitten. They recognized the need to have more highly trained volunteers and staff join them in their efforts to successfully care for all the kittens brought to shelters and rescue organizations, so they started teaching others. They began their education and training endeavors by giving small, informal classes to local shelters and rescue groups. The results were astonishing! 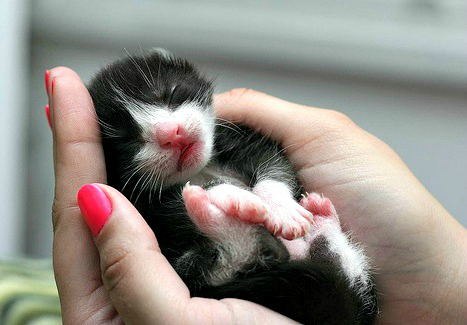 Organizations which traditionally lost young kittens to illness and euthanasia began saving almost every neonatal kitten that was brought to them. Word of these successes spread rapidly, leading other organizations to contact Rosemarie and Susan to provide their lifesaving education and training to even more animal-welfare professionals and volunteers. In response to the growing need for a formalized education and training program on successful kitten care, Rosemarie and Susan founded Feline Outreach, Rescue and Education in 2008 to bring more lifesaving workshops to shelters, rescues and conferences around the country. The nonprofit organization grew in the ensuing years as the number of workshops, conferences, webinars and requests for consulting expanded across the United States. Marnie Russ joined with Susan and Rosemarie in 2014, and in recognition of the organization’s truly national reach, Feline Outreach, Rescue and Education changed its name in 2015 to the National Kitten Coalition. Instructors and volunteers with the National Kitten Coalition have decades of hands-on experience helping thousands of kittens. They keep up-to-date on the latest advancements in neonatal kitten care, work closely with veterinarians and often lead the way in finding new and successful ways to save even more kitten lives. * The National Kitten Coalition defines a neonatal kitten as one who is unweaned and requires extensive, around-the-clock care, including bottle feeding.